As we all know, the frustration of getting a little one to sleep can be mindblowing. Mama needs some powerful lullabyes to calm her nerves and this cd delivers. This music will always remind me of the long nights trying to get my oldest son to stay asleep when he was a babe. He would roll around for hours, literally, before drifting off- and then wake up at least three times a night until he was around 2 1/2. 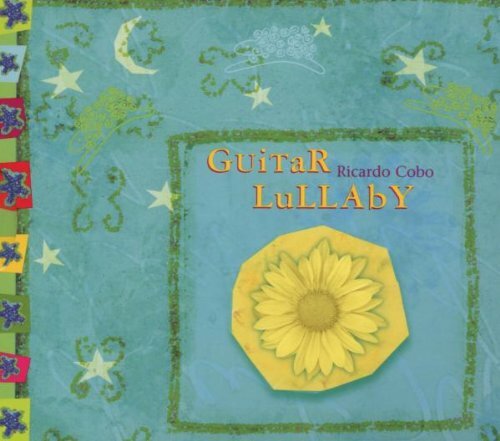 When you’re listening to lullabye music night after night for hours, you gotta love it. In our house, Cobo’s cd would be playing in the background for at least part of that night time marathon and regardless of what effect it had on my son, it really soothed me, and I loved the music. It’s classical guitar that was researched to provide the optimal in relaxation for babes. It incorporates the phrasing of lullabyes and the speech patterns of parents talking in soothing tones to their children. For me, it definitely stirred some deep comfort and inner *sighs*- maybe taking me back to the lullabyes of my youth even though his music sounds nothing like my mom’s old standby, Rock-a-bye Baby. This is the first cd I recommend to anyone looking for a lullabyes. This entry was posted in parenting and tagged kids, original music, parenting on January 24, 2014 by skylikeme.